A lot of people stay away from the dentist for one reason: simply because it’s been a long time since they last visited. Avoiding the dentist because you’re afraid of what you’ll hear isn’t a good cycle to get into — your teeth will gradually continue to worsen in the meantime. Fortunately, when you find an excellent dentist who’s really on your side, it doesn’t matter how long it’s been since your teeth were worked on or how “bad” they’ve gotten. 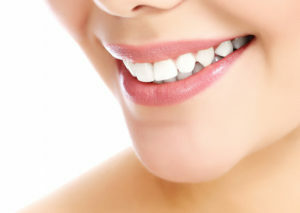 Restorative dental care performed by an expert can work wonders. Just ask Jay, the man who didn’t brush his teeth for 20 years, how much of a difference finding the right dentist can make. His story went viral back in August, when people were amazed at how drastic his transformation was. Jay finally got the courage to do something for his smile after a lifetime of serious neglect. His dentist didn’t make him feel guilty or afraid — but he did talk to him about the importance of improving his oral hygiene practices. After significant restorative care, including 11 dental implants, today Jay is smiling with total confidence. Here at West 7th Smiles, we are also dedicated to helping patients bounce back after neglecting their oral health, and we always do so without any judgement or guilt. Because, no matter the circumstances, everyone deserves to enjoy a beautiful, confident, and healthy smile! The smile makeover — what Jay had — is a comprehensive approach to restoring structurally and cosmetically imperfect teeth. We may use any number of restorative and cosmetic treatments to reveal a healthy, properly functioning smile. A smile makeover is effective because it allows your dentist to take a holistic approach to improving your teeth and gums, rather than doing it bit by bit over several years. The total treatment time and cost of your smile makeover will depend on the treatments being performed. A dentist is your closest ally on your quest for a healthy, long-lasting smile. Choosing a team who offers professional, personalized, and non-judgemental care is crucial — especially if you are nervous about getting your teeth worked on. A great dental team will make you feel completely at-ease under their care, and that’s one of the things we pride ourselves on here at West 7th Smiles. We can’t wait to welcome you into our office for the preventive and restorative services you need to smile beautifully for life! Dr. John G. Boyd is an expert in restorative dentistry with a true passion for revealing beautiful, functioning smiles with the smile makeover. To learn more about this approach or to schedule an appointment, you are invited to contact the office at 817-882-8282.